Written by Dr. Ajit V and medically reviewed by iCliniq medical review team. Any food or drink intake alters the metabolic milieu in the body. For example, insulin is released, digestion happens and glucose levels rise in the blood. Therefore the blood glucose levels rise and fall with each episode of food intake. Self-checking of blood glucose looks at the glucose level at that point of time - a snapshot. It is a reflection of the time, type and quantity of food consumed earlier, with the type of physical activity involved. When there are non-specific symptoms like dizziness, sweating, a self-check helps to show the presence or absence of low-sugar level (hypoglycemia) in the blood. The pitfall is that, if the check is done in the morning, it does not reflect the glucose level changes that happens after lunch, after snacks or after dinner. There can be a 5-15% variation of the result when using the glucometer. Checking at a laboratory with a venous blood sample is the gold standard. Finger-prick blood (capillary blood) will not reflect the exact glucose level in the blood in the body. One has to understand that, to prevent complications due to diabetes like kidney dysfunction (diabetic nephropathy), eye problem (diabetic retinopathy) and neuropathic problems (diabetic neuropathy) from occurring, the overall glucose control (i.e, 24 hour time period) is equally important. HbA1C gives an overview of the glucose control over the last 90 days and takes into account all the three meals and the intermediate snacks too. Many of the important International Trials looking at diabetes and its complications use HbA1C as monitoring parameter and not blood glucose. To have an understanding of the glucose variations that happens due to each type of food stuff. To have a gross idea of the prevailing glucose level. HbA1C level is recommended to ascertain overall correctness of diabetes management. 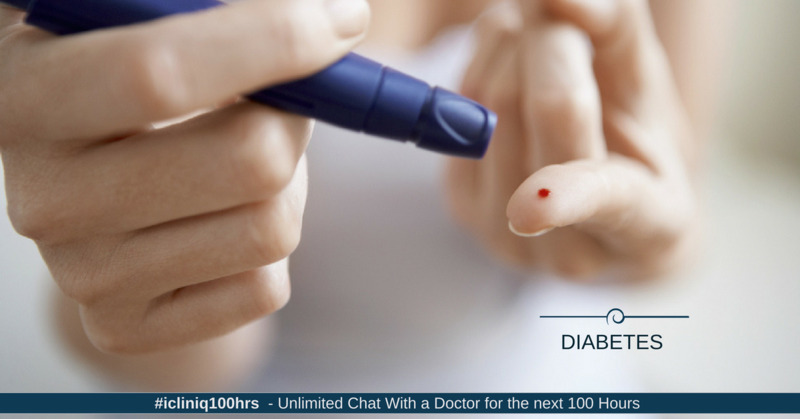 Do you have a question on Diabetes or Blood Glucose Level? What is the acceptable range for blood glucose levels?